Bibby Offshore’s Asian division Bibby Offshore Singapore (BOS) has expanded its foothold in the Southeast Asian oil and gas sector by securing multimillion dollars worth of contracts in the first half of the year. Drawing on its international fleet of subsea support vessels and work class remotely operated vehicles (ROVs), the past six months have seen the division being appointed to perform ROV pipeline inspection, remedial and project management work for companies including Moattama Gas Transportation Company (MGTC) offshore Myanmar, and Singapore based Seascape, a Mermaid Subsea Services company, said a statement. 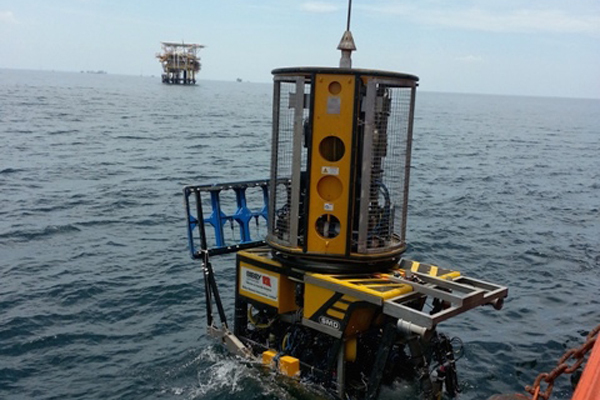 Most recently, BOS completed work for Indian-based Larsen & Toubro, a major technology, engineering, construction, manufacturing and financial services company that appointed BOS to perform ROV inspection work on its Yetagun D Platform offshore Myanmar. The project involved a cathodic protection survey, anode survey and flooded member inspection in water depths of up to 110 m.
Peter Hughes, managing director at BOS, said: “We are committed to supporting the continued development of the region’s energy sector, and provide efficient and successful delivery of subsea projects to the Asia Pacific region and India.